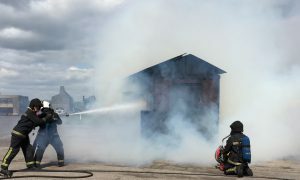 Angus Fire maintains its position at the forefront of firefighting foam technology through continuous investment in research and development. As a result of this commitment, we manufacture a comprehensive range of firefighting foams for all eventualities. The firefighting performance of Angus Fire foams remains our number one priority. Saving lives and protecting property coupled with trusted chemistry that respects the environment remains our ultimate goal. Our new C6 and Fluorine-Free Foam Formulations are developed with all these factors in mind.